One of the key benefits of monitoring the social media activity surrounding your brand, competitors, and industry is that, when done right, you can identify potential customers and foster relationships with them to turn them into actual, long-term customers. 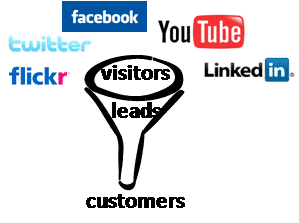 If the process of lead generation and nurturing through social media monitoring seems a bit iffy to you, though, take this post as clarification. The nuances of relationship building will play a huge role in how successful you are with this tack, but if you’ve got that part down, what’s left is establishing a process for identifying people and businesses that are discussing a problem that your services or products can help them solve. We wrote a white paper about listening at the point of need some time back, and the tenets in this white paper still ring true. We’ll review some of those tenets here, and also add to the discussion. Make sure you nurture and follow up on all of your leads.